Wash the Lamb pieces in the curd and put the pieces in the lemon juice and salt and keep it aside for 10 minutes. 1) Heat oil in a pressure cooker.Fry the Lamp pieces for about 10 minutes. 3) Add Chilly powder,Coriander powder,Turmeric powder and saute the mixture until the raw smell goes off. 4) Add the mixture to the fried lamp piece,then add tomato pieces.Pour 1/2 glass of water and also 2 tsp of kasoori methi into the cooker and let the pressure cooker whistle 1-2 times(or until the lamp is cooked properly). 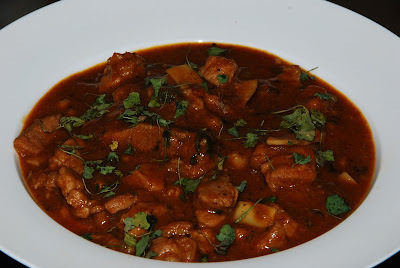 :- This Recipe will be very good if you try with Boneless chicken ,Beef or Pork. 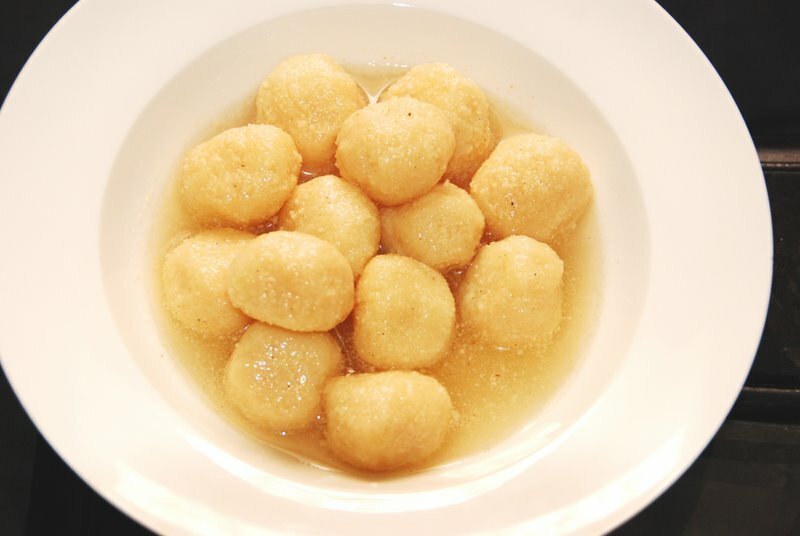 :- Serve it after Garnishing with Kasoori Methi(Dried Fenugreek leaves). Add Salt,Red chilly and mix well. 6) Add pepper powder,stir it slowly.Dont let the vegetable pieces to get over cooked. 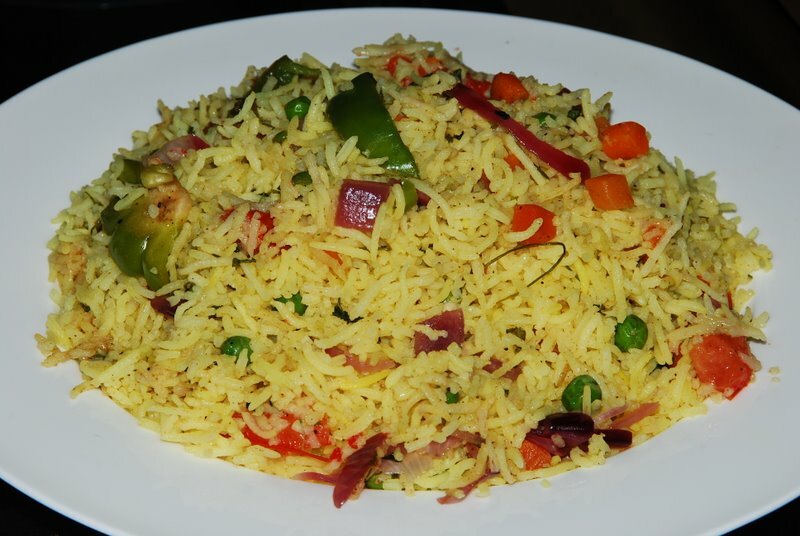 7) When the mixture become partially dry, add the cooked rice , mix it well. 8) Add the soy sauce and saute it well without damaging the rice texture.Close the lid and keep in the low flame. :- Serve it after garnishing with finely chopped coriander leaf or with Kasoori Methi . 1). Mix together the flour, corn flour, seasoning salt, paprika, baking soda,itallian dressing mix, spaghetti sauce and 1/4 cup of water in a bowl . 2). Dip capsicum pieces into batter , then drop into hot oil .Deep fry the Capsicum pieces. Allow it to turn brown. 3). Place browned capsicum pieces into a pan . 4) Heat 2 tsp oil in a pan, Add half portion of Onion and stir it well . 5) Let it turn brown. 6) Add Ginger/Garlic paste and saute it well. 7) Add sliced green chilies and seasoning salt . 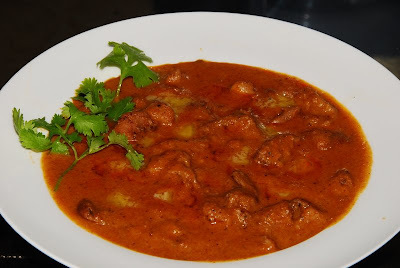 8) Add Chilli powder, Coriander powder, turmeric powder,Paprika powder,Cayenne pepper,garam masala powder,pepper powder ,half portion of cashew nuts and chicken masala powder. Saute till the masala is well browned and oil starts to seperate. Grind the masala onion mix into a paste. 9) Heat 2 tsp oil in a pan, Add Mustard seeds into the oil and allow it to splutter. 10) Add the grinded masala and stir it well . 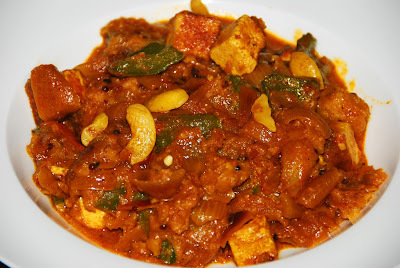 11) Add paneer pieces into the masala and stir well for few minutes. 12) Add water ,salt ,curd ,rest cashew nuts and fried capsicum pieces stir well and simmer it for 5 minutes . 13) Add Coriander leaves . Add 1/4 cup of water for more gravy. This Curry will go fine with Rice,Chappathi,Porotta.